Walk For Freedom is a global fundraising and awareness event. 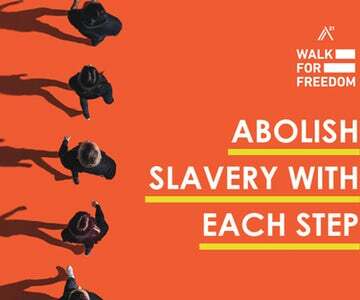 Rallying thousands of abolitionists, taking millions of steps, showing up in hundreds of cities all over the world, Walk For Freedom is an outward expression of our inward desire to see slavery completely abolished. On October 20th, single-file lines of people in black will fill their local streets, sidewalks, bridges, and tunnels with a message that can't be ignored: slavery still exists. Together we will walk, holding signs and passing out flyers to reach the people in our city with the message of human trafficking. Telling our communities that they actually have the power to make change possible. We believe that when we all show up locally , we will have an impact globally . In our cities, in our communities, in our world. One step at a time, we fundraise and walk to see a world without slavery. We will meet Saturday, October 20th at 10am at the Karcher Mall in Nampa to Walk for Freedom. We will also have a sign-up sheet this Sunday during all services if you don't know how to register.